Posted by Hon. Robert Jacobvitz - U.S. Bankruptcy Court, District of New Mexico on February 26, 2018 . 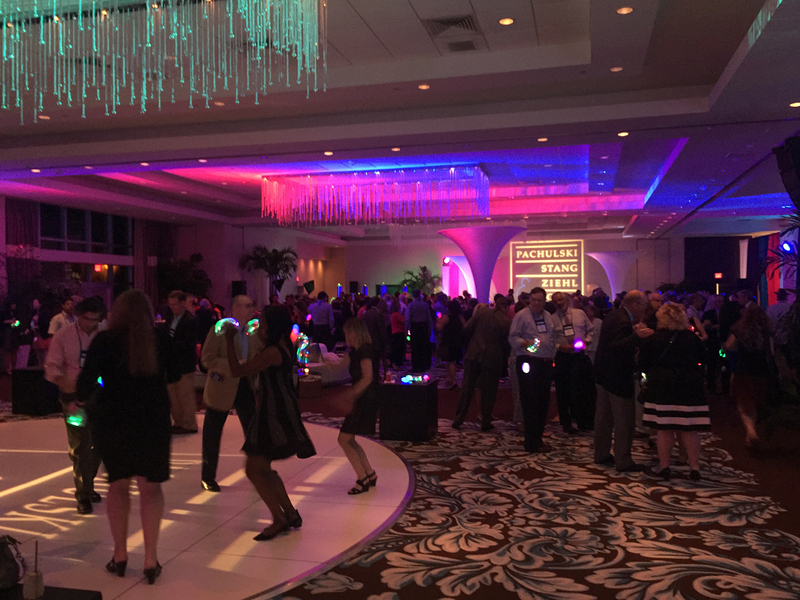 Welcome to the NCBJ Annual Conference Blog! This is the place to blog about NCBJ’s 92nd Annual Conference and things to do and see while attending the Conference in San Antonio. A great place to start is to read NCBJ President Michael Romero’s invitation to attend the Conference, which you can find on the Blog HERE. It gives you a peak at what to expect. You will find new articles on the Blog about Conference programs, San Antonio, the NCBJ, and much more. Many articles include photos or other images. Please note that you can enlarge an image by clicking on it. Keep checking back to the Blog to read more posts. Are you interested in an annual consumer bankruptcy meeting at the NCBJ Conference? Popsicles: Paleteria San Antonio – A Hidden Gem! Posted by Michael E. Romero - US Bankruptcy Court for the District of Colorado on February 25, 2018 . Remember the Alamo! That phrase became the battle cry of the Texans in their struggle for independence. Today, the Alamo is just a part of the rich history of San Antonio, the host for this year’s NCBJ Conference to be held October 28-31, 2018. San Antonio is celebrating its tricentennial this year and it is the perfect time to join in the celebration and at the same time enjoy everything you have come to expect from an NCBJ experience. Our Education Committee made up of bankruptcy judges, legal scholars and preeminent professionals and headed by John Hoffman is preparing special programs that will educate and entertain. 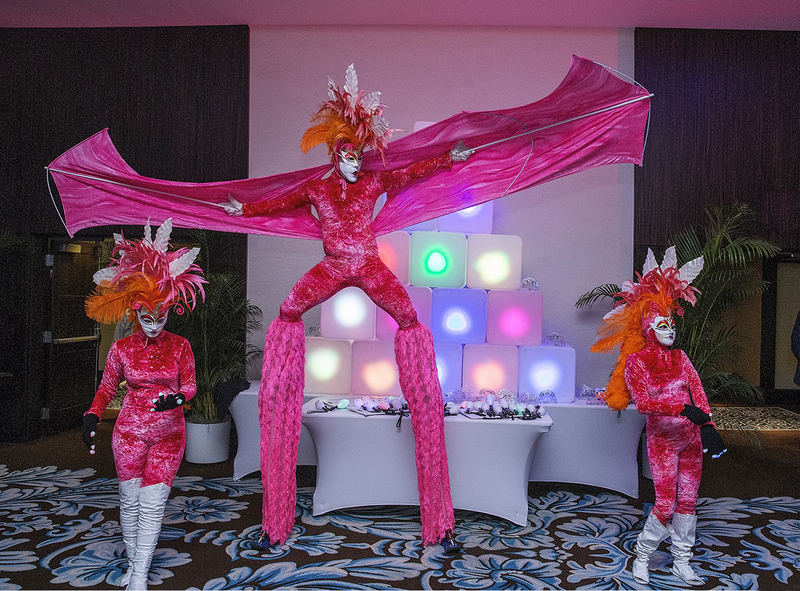 As a special treat, our plenary programs will be held in the spectacular Lila Cockrell Theater, immediately adjacent to the host Marriott Rivercenter and the subsidiary conference Marriott Riverwalk hotels. If that were not enough, there will be an international discussion presented in partnership with the American College of Bankruptcy. Our affiliates will also be offering their usual incredible programs. Finally, we are trying to create even more networking opportunities with all your fellow attendees. To put it simply, come this October, you will remember the Alamo, the City of San Antonio, and the 92nd NCBJ Conference. Don’t miss out on this special opportunity. Michael E. Romero, NCBJ President. Posted by Jeanne Sleeper - JBS & Associates on October 9, 2018 . Premiering in San Antonio, the NCBJ Plenary Sessions will be available to all insolvency professionals via live streaming on the Internet. Monday, October 29 and Tuesday October 30 from 9 am – 12:30 pm CDT, and Wednesday, October 31st 9 – 10 am, five NCBJ educational sessions will broadcast from the Lila Cockrell Theatre in San Antonio, Texas. Hooked on the Horns of a Legal Dilemma: Can “Moo”tness Be Equitable – District Court Circuit Judges face off on equitable mootness. Twelve Year of Turbulence: The inside Story of American Airlines Battle for Survival – from 9/11, the recession, bankruptcy and emergence from bankruptcy, as told by the AA General Counsel of this era, Gary Kennedy. Some states consider online education to be self-study. Consult your state bar for guidance. Posted by Seth Horowitz - Pachulski Stang Ziehl & Jones LLP on September 26, 2018 . With the 2018 National Conference of Bankruptcy Judges fast approaching, Pachulski Stang Ziehl & Jones is pleased to once again host the official NCBJ “After Party.” PSZJ, the nation’s leading corporate restructuring boutique, has hosted the event since 1999, and is well known in the bankruptcy and restructuring community for its fun and memorable themed parties. This year’s National Conference of Bankruptcy Judges Conference will take place from October 28 – 31 in the beautiful city of San Antonio, and what better way to celebrate than a PSZJ festival? 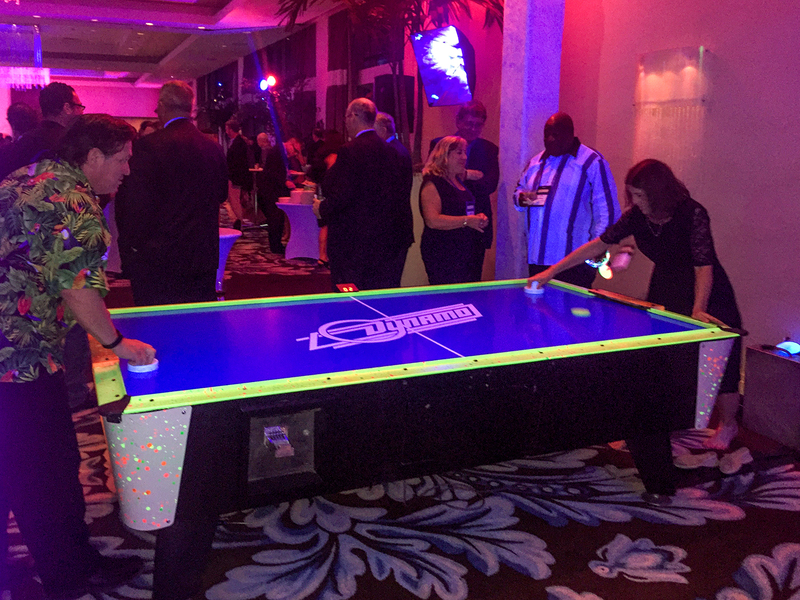 See below for pictures from our previous events. Posted by Andrew Altenburg - District of New Jersey on July 25, 2018 . There has been interest expressed in creating an annual “Consumer Bankruptcy Meeting” during the annual NCBJ conference. To that end, we have planned a “meet and greet” on Monday October 29 right after the NCBJ, UST, NABT, NACTT Joint Committee Meeting in the same conference room (13‐14). The meeting would start at 3:45 pm and its purpose would be see about the formation of an annual open meeting on consumer related bankruptcy issues at future NCBJ Conferences. 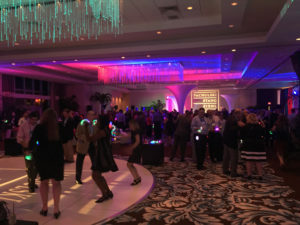 The idea of the annual meeting is to have representatives from the various consumer related groups, such as the Trustee groups, NACBA and the National Creditors Bar Association and anyone else that is interested, present to discuss focused topics affecting the consumer bankruptcy practice on a national level. The meeting on the 29th should not be a long. It is simply an opportunity to discuss whether such a future annual meeting is possible and if so, to gather thoughts on how should it be conducted. On Tuesday, October 30, 2018 at 7:15a.m., NACBA will hosting an educational breakfast for all to attend. The topic will be: Leaving Student Loan Discharge Behind: Defining Student Loans, Treatment in chapter 13, and Non-bankruptcy Options. With discharge of student loans under the undue hardship standard often requiring a “certainty of hopelessness”, this panel will instead focus on alternative methods that debtors and courts have addressed the ever mounting student loan crisis. This will include an examination of what actually constitutes an “educational benefit”, how the various repayment programs from the Department of Education can be integrated with bankruptcy, and non-bankruptcy causes of action and defenses, including Statutes of Limitation, burdens of proof regarding standing and consumer protection laws, can be used to provide borrowers relief. Posted by Hon. Robert Jacobvitz - U.S. Bankruptcy Court, District of New Mexico on June 2, 2018 . San Antonio’s population has grown from under 3,500 in 1850 to the seventh most populous city in the United States today. Only New York City, Los Angeles, Chicago, Houston, Philadelphia and Phoenix have larger populations within city limits. In 1860, with a population of 8,235, San Antonio was the largest town in Texas (ahead of Galveston). Until 1877, German was the predominate language. In 1877, San Antonio experienced new economic growth sparked by its first railroad, the Galveston, Harrisburg and San Antonio Railway. Its concomitant population growth was mostly Anglos born in Southern states. In 1881 a second railroad served San Antonio, the International–Great Northern; and by 1900 there were five railroads passing through the City. The railroads spurred both economic and population growth. San Antonio was the largest city in Texas in 1900, with a population of 53,321; in 1910 with a population of 96,614, and again in 1920 with 161,379 inhabitants. San Antonio was an important military center during the Spanish-American War, and in both World Wars. San Antonio’s population grew in the 1940s from 253,854 to 408,442. Fort Sam Houston and four Air Force bases (Kelly, Randolph, Brooks and Lackland) were the City’s leading economic generators for many years. In the 1950s the City grew by almost 44 percent to reach 587,718 in 1960. By 2000 San Antonio was the third largest city in Texas and the ninth largest city in the United States, with a population of 1,144,646. The 2000 census reported that San Antonio’s population was 58.7% Hispanic, 32.5% Anglo, and 6.8% African American. A decade later, 62.7% were Hispanic, 26.6% were Anglo, 6.8% were African American, and 2.4% were Asian. This chart shows the population of San Antonio since 1850 and the City’s population ranking among all United States cities. San Antonio’s population is concentrated within its city limits. Its metropolitan area does not rank nearly as high. Today, tourism is a major contributor to the San Antonio economy. By one measure, one-eighth of the San Antonio workforce works in the tourism industry and tens of millions of people visit San Antonio each year. The genesis of San Antonio HemisFair Park, located along the River Walk, was a World’s Fair held in San Antonio known as HemisFair ’68. San Antonio was chosen as the site of the 1968 World’s Fair, to be called HemisFair ’68. The fair, themed the “Confluence of Civilizations in the Americas,” paid tribute to the 250th anniversary of the founding of San Antonio in 1718. 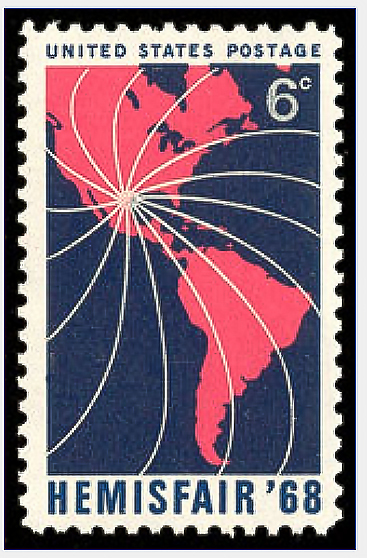 Six million visitors from more than thirty nations attended the fair from April 6 through October 6, 1968. 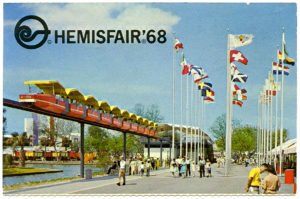 The fair included a series of National and corporate pavilions connected by monorail, elevated walkways, and river taxis. There were also towering fountains, restaurants, boutiques, parades, a Swiss sky ride, and an amusement park. 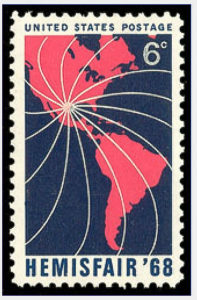 Among some thirty nations represented in the pavilions were Argentina, Belgium, Bolivia, Brazil, Canada, China, Colombia, Costa Rica, El Salvador, France, West, Germany, Guatemala, Honduras, Italy, Japan, Korea, Mexico, Nicaragua, Panama, Peru, Portugal, Spain, Switzerland, Thailand, Venezuela and the United States. 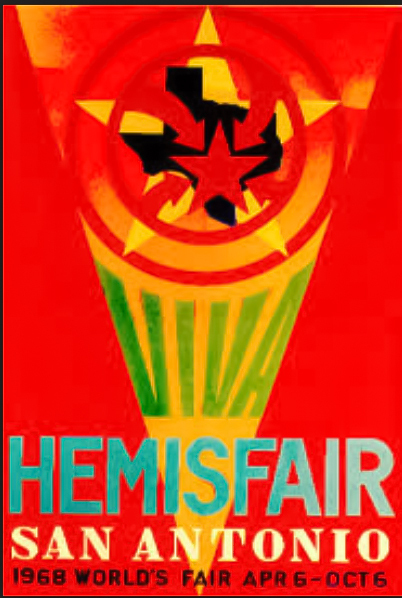 More than 130 structures were built on the 96.2 acre HemisFair ’68 site at a cost of $156 million. The State of Texas Pavilion cost $10 million. The United States Pavilion cost $7.5 million. The 750-foot Tower of the Americas was the fair’s theme structure, complete with a glass elevator rising up the side and a 360° observation deck at the top. The River Walk was extended to reach the site. In 2008 Hyatt Hotels completed construction of the Grand Hyatt San Antonio in what was part of the convention center theater originally built for HemisFair ’68. In 2009 the San Antonio City Council created a non-profit organization, HemisFair Park Area Redevelopment Corporation, to oversee further redevelopment of the fair site. In 2012 HPARC completed the renovation of three additional structures on the site. Today, HemisFair Park is home to gardens, fountains, playgrounds, walking paths, historic homes, Tower of the Americas, the Mexican Cultural Center, the San Antonio Convention Center, a large hotel, a Federal courthouse, and more. Overall Cost: $156 Million USD. This is a notice about the new NCBJ Public Outreach Award from the NCBJ Public Outreach Committee. Bankruptcy Judges and courts routinely engage in important public outreach efforts. Those efforts include organization of and anticipation with financial literacy classes, pro bono assistance projects, Constitution Day events, immigration ceremonies, bankruptcy law education for state court judges and civics education programs. To increase judges’ awareness of those efforts and honor individual bankruptcy judges and courts for outstanding work, the NCBJ has established a new annual award. Nominations should describe the nominee’s public outreach activities and explain why the nominee deserves to receive the NCBJ Public Outreach Award, addressing the above factors specifically and including any other factors that demonstrate why the nominee deserves to receive the award. Nominations should also include any recognition the nominee has received from the community and/or the media and may include copies of relevantarticles or photos. Descriptions should be detailed enough to give the Public Outreach Committee an accurate picture of the nominee’s community outreach activities. Deadline for Entries and Presentation of Award.</blockquote> All submissions must be sent electronically to NCBJ.Public.Outreach@gmail.comon or before August 1, 2018. The award will be given at the Annual Meeting. Contact any member of the Public Outreach Committee with questions. You know how to start a networking conversation – but – you might hang back because you are not sure how to exit when the time is right for you. Here’s a polite, professional way that doesn’t involve a lot of excuses or cringe-worthy pauses. Ask for a business card. In the age of social media, it’s a step you might often skip. It’s a pleasant want to get the person’s contact information, and in the Americas it signals that the time together is ending. It’s easy to close with “nice to meet you” and move on. If you really want to continue the conversation with this person in the near future, ask about scheduling a phone call, meeting, coffee or lunch in the future. If the other isn’t eager to do any of those, it is a polite signal that they are ready to move on also. Among the works of the many local artists who’ve contributed to the Henry B. Gonzalez Convention Center’s art collection, meeting delegates will find a variety of cultural expressions that reflect the authentic culture of San Antonio. “The art collection which brings the voice of San Antonio to the world stage, engages visitors visually and sparks conversations that bring people together,” says Patricia Muzquiz Cantor, interim director for the city of San Antonio Convention & Sports Facilities. 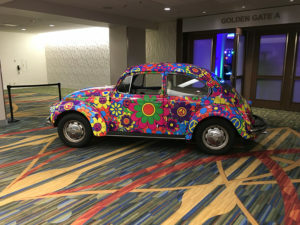 Among the pieces that will have people talking is a Carlos Merida mural created for the 1968 World’s Fair that will greet NCBJ visitors at the convention center’s new West Entry. From the River Level, look up high on the Center’s exterior wall. Another is one of the newest installations, Liquid Crystal, a 30-foot tower of LCD panels connected to motion sensors that allows it to reflect the activity in the new main lobby. Posted by Hon. Robert Jacobvitz - U.S. Bankruptcy Court, District of New Mexico on April 8, 2018 . May 2nd from 1- 5 EDT could have a big impact on your legal career. Those few hours are the only time that applications are accepted from early career lawyers who want a chance to be part of the NCBJ Next Generation Class of 2018. Look HERE for information about Next Generation. Everything you need to know to apply is on this website. Next Gen delivers loads of unique opportunities and benefits. Members of the Class are chosen by computer randomized selection. Nominations are only accepted May 2, 2018 from 1- 5 pm EDT. Don’t be early or late or submit more than once – as the software will disregard your paperwork. Good luck! © 2019 ∼ . Built on WordPress & the Scherzo theme by Leon Paternoster.